With 310 single, double, family and shared rooms (total 894 beds) you will surely find a suitable "Heija" (Hessian: bed). If you can not save yourself from colleagues on your business trip, no problem: Meeting rooms are available. In our cozy lobby you can relax after a hard day's work with a refreshing drink. Forget about loading an important document into the cloud on time? Do not worry, free Wi-Fi is available throughout the hotel. 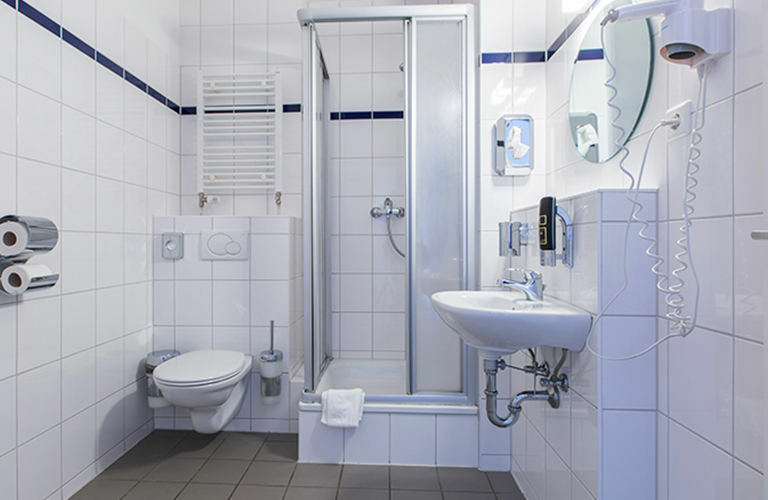 The a&o Frankfurt has a prime location for all those who are travelling to the city for business or personal pleasure. With just 1 km from the Central Station and congress centre the a&o can easily be reached with public transport. Using the S-Bahn or tram station Galluswarte, guests land right on our doorstep. Car drivers can park their vehicle on a&o’s own car park. The a&o Frankfurt Galluswarte (fair) offers its guests the perfect accomodation with top connections in the heart of "Mainhattan". In addition to meeting rooms, there is also an ATM, guest kitchen and washing machine, billiards and football tables and a children's play area. Reception and hotel bar are available 24 hours a day.